This book, first published in 1962, is a collection of twenty-four essays written by Frank Kermode between 1958 and early 1961, and are all concerned with criticism and fiction. 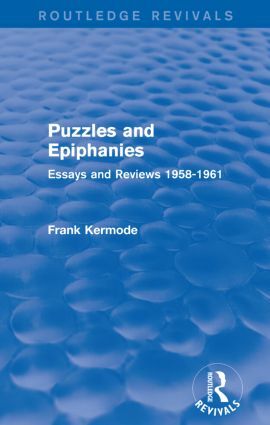 Puzzles and Epiphanies: Essays and Reviews 1958-1961 includes essays on the works of James Joyce, William Golding, E. M. Forster, and J. D. Salinger, amongst many others. This book is ideal for students of literature.